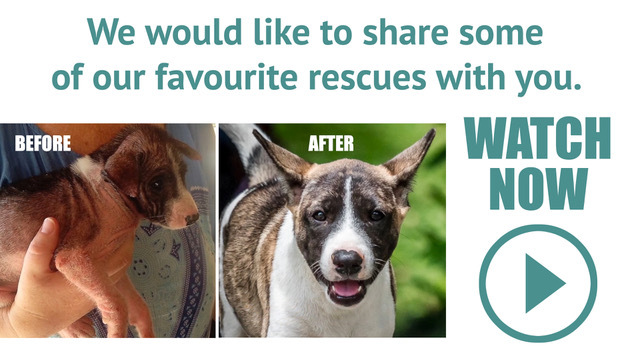 We want to thank you for all of your support during the past year; it has enabled us to save and improve the lives of many, many animals in Bali. We adopted out 431 animals to loving and safe homes, and fostered out 259, including dogs, cats, monkeys and a squirrel. We currently have 294 dogs in care. 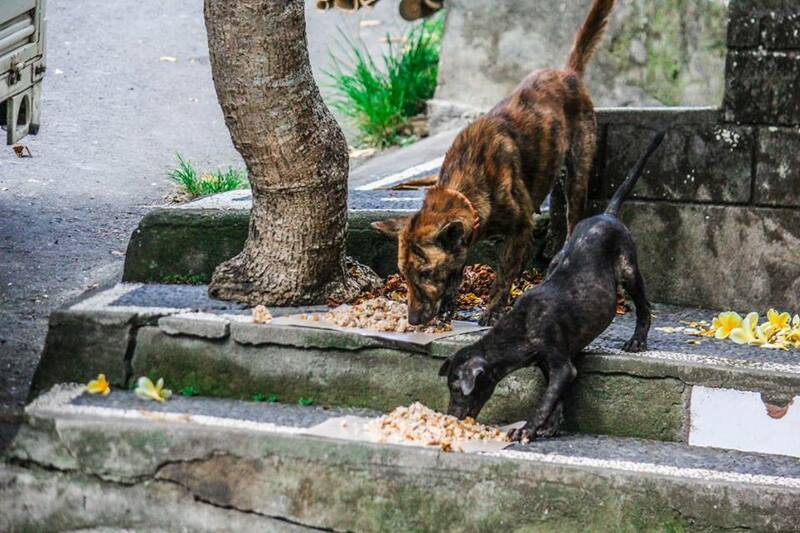 Every day, BAWA teams fed hundreds of homeless dogs on the streets of Bali. 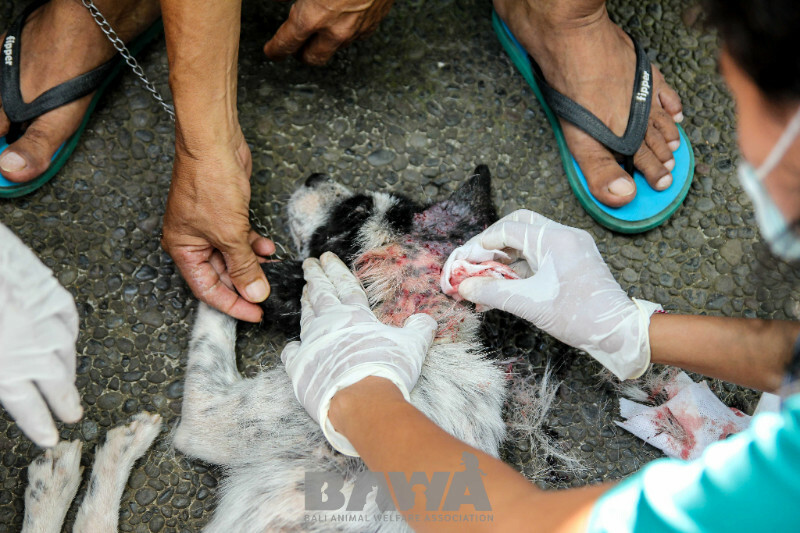 We also treated thousands of dogs for worms and skin conditions. Our spay-neuter program and health days sterilized 1,​541 dogs and cats in 2017. Our ambulance responds to an average of 50 ​calls a day, doing everything we can for animals in need of emergency help. Our emergency response team deals with reports of animal cruelty daily; many cases are resolved after repeated visits, educating the owners about proper care and general animal welfare. 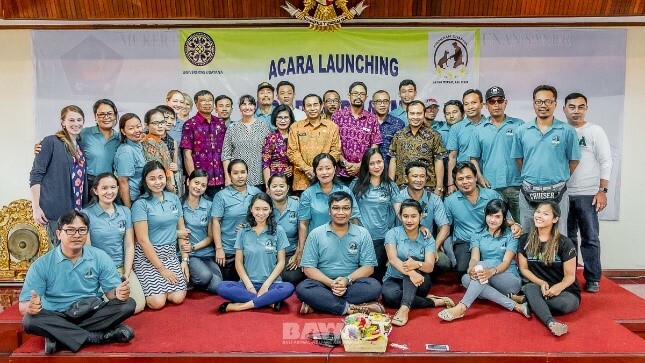 We partnered with Udayana University (Public health and Veterinarian faculties), Centre for public Health Innovation (CPHI), Yayasan Kerti Praja (YKP) and IFAW (the International Fund for Animal Welfare) to run Program Dharma, a pilot program in Sanur, successfully showing that community engagement is the best way to develop healthy dog communities, including achieving rabies control. 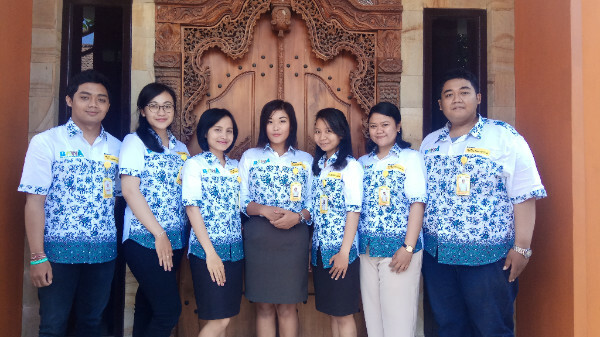 Program Dharma also launched their education program in Junior High Schools with a series of lessons raising awareness of animal welfare, care and compassion; as well as rabies prevention and bite treatment. We partnered with Dogs Trust Worldwide to hire and train a team of full time teachers, a program manager and a consultant to deliver a Dog Welfare Education program in public Elementary Schools. Our education program reached 29,960 Elementary School children from July to December, teaching them about dog welfare, care and compassion in an interactive and memorable way. 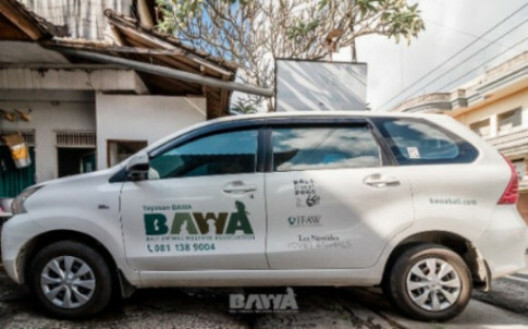 BAWA sponsored an international seminar on The Bali Dog in the Context of Genetics; Culture; Disease & Other Threats to its Survival; and Human Health in collaboration with Udayana University. The keynote presentation was by internationally known geneticist Dr Ben Sacks from University of California, Davis on the evolution of early dogs and the importance of the Bali dog as one of the genetically most pure indigenous breeds, entitled Ancient Asian Dogs and the Genetics of the Bali Dog: Why is the Bali Dog Unique? 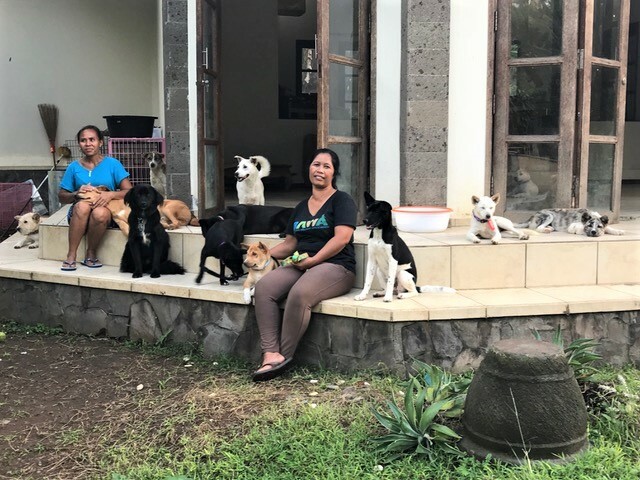 Since the end of September 2017, we have been running rescue work at the volcano, feeding animals that evacuees could not take to evacuation centers, and rescuing the most vulnerable dogs from the most dangerous areas. 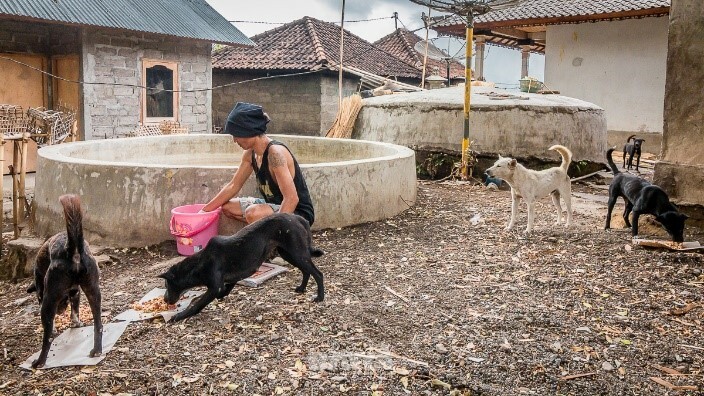 Over 500 dogs are provided with food and fresh water every day,as the teams rotate through villages affected by the Mount Agung eruptions and in the emergency shelters. Shelters have been set up outside the danger zones to keep dogs safe until they can return home. The shelters arerun by BAWA staff, who have in turn hired and trained local refugees to care for the dogs. We have only been able to do this with your kind help and donations. 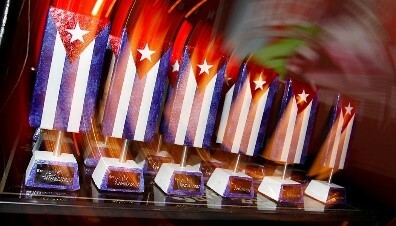 THANK YOU for your ongoing support, your kindness, generosity and friendship.